FSB6T, 75 mm Ball / Fb 3+3 Damping, Touch & Go Plate DV, Single Pan Bar, Payload 2.2-13.2 lbs. FSB 6T, 75 mm ball / FB* 3+3 damping, Touch & Go plate DV, single pan bar, Payload 2.2-13.2 lbs. Includes Pan Bar: single, non-telescopic. Camera Plate Included: T&G Plate DV #0264. 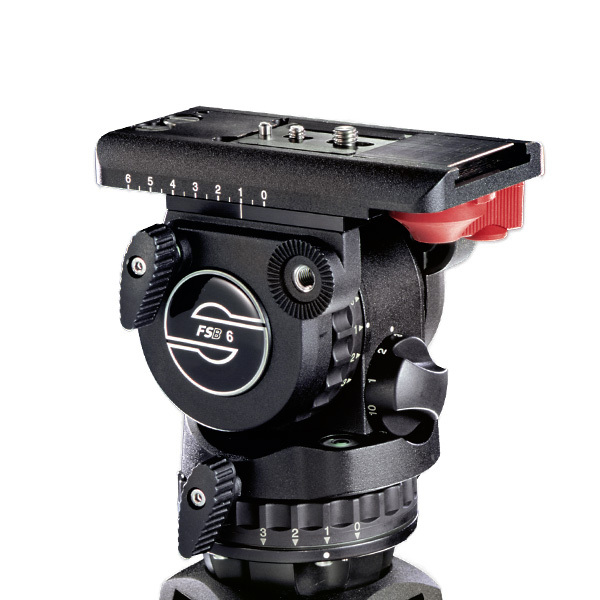 * Integrated flat base mount for Pedestal C I - no adapter required!.